As we get older, many of us struggle with the harsh reality of gray hair or hair even falling out. But despite how common these problems are, scientists have struggled to identify their underlying biological cause, which means that we’ve been stuck using quick fixes such as hair dye and toupees to mask the problem. Now, scientists have finally identified the specific cells that cause hair to grow and develop pigment in mice – a big step towards developing a new treatment for gray hair and baldness. The researchers actually stumbled upon these ‘hair progenitor cells’ by accident while researching a rare genetic disorder that causes tumors to grow on nerves, called Neurofibromatosis Type 1. “Although this project was started in an effort to understand how certain kinds of tumors form, we ended up learning why hair turns grey and discovering the identity of the cell that directly gives rise to hair,” said lead researcher Lu Le from the University of Texas Southwestern Medical Centre. 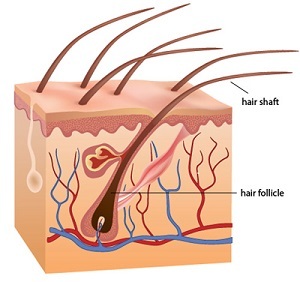 Researchers already knew that skin stem cells contained in the bulge at the bottom of hair follicles were involved in hair growth, but they weren’t quite sure what it was made these skin cells turn into hair cells. We’ve only begun to figure out how to stimulate their growth with Bioscalp #4. Scientists have found what causes hair to turn gray. They found that a protein called KROX20 can turn skin cells into hair shafts. The hair shafts then produce a second protein called Stem Cell Factor (SCF) which is essential for hair pigmentation. When they deleted the SCF gene in mouse models their hair turned white. When they deleted the KROX20-producing cells, no hair grew and mice became bald. 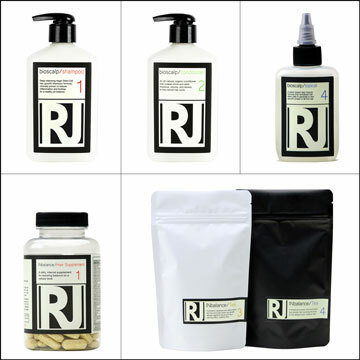 Their discovery offers possible treatments for gray hair and balding hair. This accidental discovery was made while attempting to understand tumors linked to the nervous system. While researching tumor formation on nerve cells, they discovered the protein that sets these cells apart. 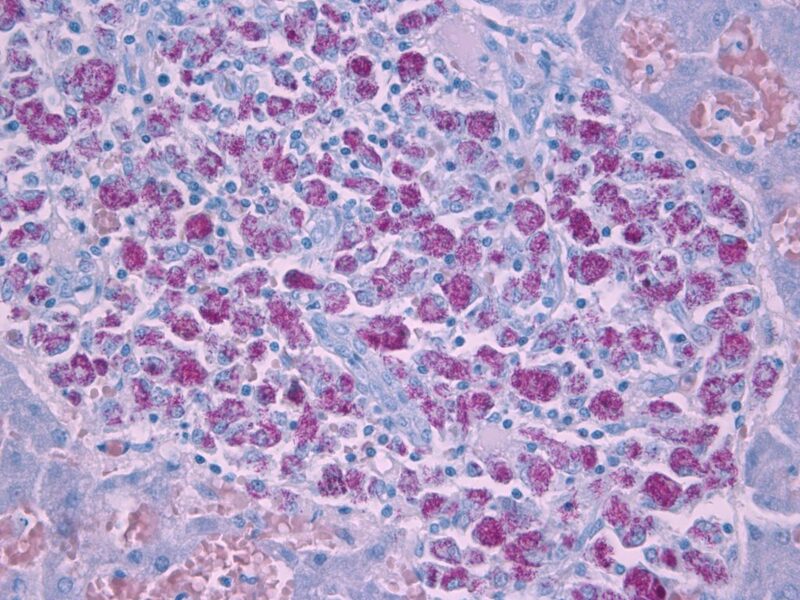 Called KROX20, the protein is more commonly associated with nerve development. But in hair follicles in mice the team discovered it switches on in skin cells that will go on to become the hair shaft that makes hair grow. This protein then causes these cells to produce a protein called stem cell factor(SCF), and when both of these molecules are expressed in a cell, they move up the hair bulb, interact with pigment-producing melanocyte cells, and grow into healthy, colored hairs. But if one or the other is missing, the process goes wrong. When the team deleted the KROX20-producing cells, they found that no hair grew and mice became bald. When they deleted the SCF gene in these hair-progenitor cells, the animal’s hair turned white. This research has only been conducted in mice so far. While we have a lot of biological similarities with mice, the study needs to be repeated in humans before we can get too excited. But Le and his team are already working on a project that will look for KROX20 and SCF in people with graying and thinning hair, in an attempt to work out whether it’s associated with male or female pattern baldness in humans. The hope is that it might not only teach us about why our hair changes as we get older, but also aging in general. And the fact that the research could potentially lead to treatments that will help us look younger for longer doesn’t hurt either. Stay tuned for more news on KROX20.